NAVY/RIVER BLUE A brand new premium waterproof full-zip jacket in ultra-lightweight stretch GORE-TEX® fabric with C-KNIT™ backer. The revolutionary Japanese-made fabric has a super smooth texture and can ‘slide & glide’ over garments underneath. 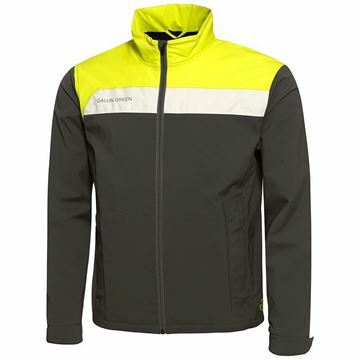 Its complex 3-layer construction makes it highly breathable as well as durable. Innovative rubberised collar and shaped cuffs with a zip to tighten at the wrist. 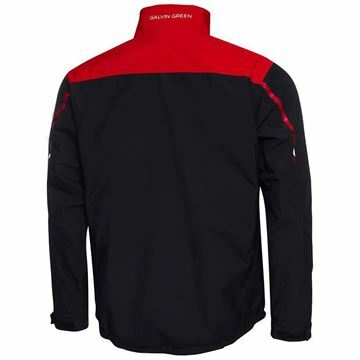 BLACK/RED A brand new premium waterproof full-zip jacket in ultra-lightweight stretch GORE-TEX® fabric with C-KNIT™ backer. The revolutionary Japanese-made fabric has a super smooth texture and can ‘slide & glide’ over garments underneath. 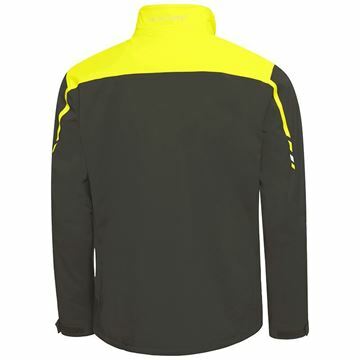 Its complex 3-layer construction makes it highly breathable as well as durable. Innovative rubberised collar and shaped cuffs with a zip to tighten at the wrist. Waterproof trousers in GORE-TEX® fabric with a solid lining. 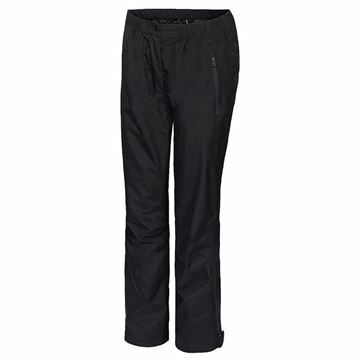 An elasticated waist and large adjustable leg-end openings make them easier to get on and off. Two fleece-lined front pockets and one back pocket, plus a fly opening with a protective front panel. 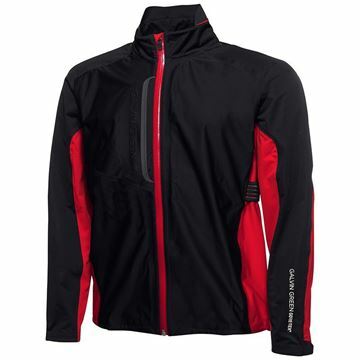 BLACK/RED The ultimate full-zip waterproof golf jacket. 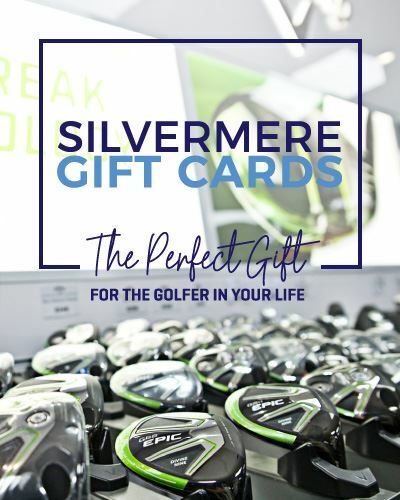 A combination of GORE-TEX® Stretch fabric and non-stretch material provides maximum flexibility in the golf swing, while resisting abrasion on bag-carrying shoulders. 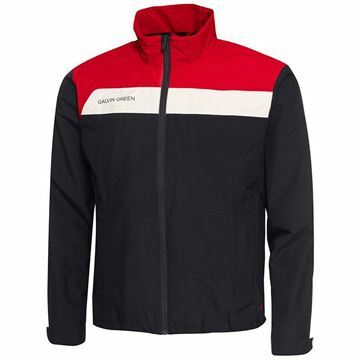 BLACK/GREY/RED The lightest Shell layer jacket in the range at 230 g, with no unnecessary fabric or features. 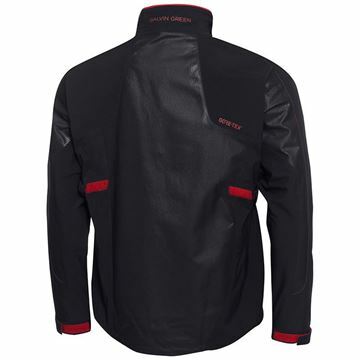 A shortsleeve full-zip jacket in GORE-TEX® Stretch fabric, which displays the stretch directions on the inside. 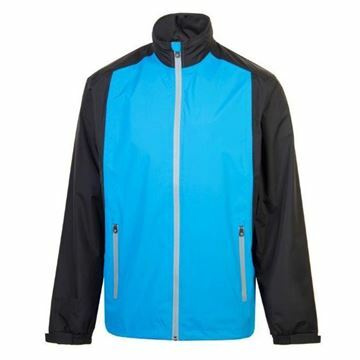 Extremely flexible and breathable, while providing reassuring protection from rain and wind. Folds down to store in most bag pockets. 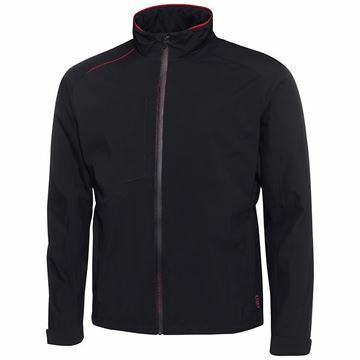 BLACK Providing a classic uni-colour option in the GORE-TEX® Paclite® Technology range for on or off course wear. 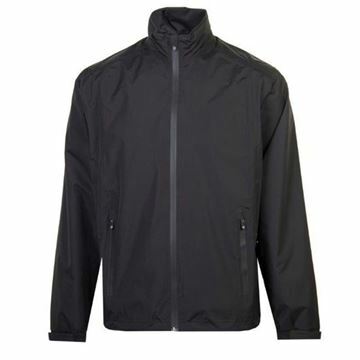 The waterproof full- zip jacket with smart definition trim has two concealed front pockets and adjustable cuffs. Extremely lightweight at 335 g and sleeves shaped to perfection. Black The top-selling premium waterproof trousers. Crafted in GORE-TEX® fabric with a solid lining. Elasticated waistline with zip fly opening and drawstring positioned at the back. Fleece-lined front pockets and single back pocket with branded panel. 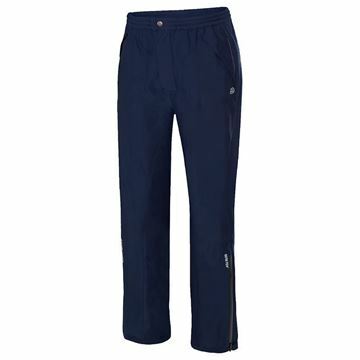 Inner leg seam strengthened by clever design and reinforced fabric used on the bottom edge for exceptional durability. Long zip openings on each leg and all zips protected by a panel. 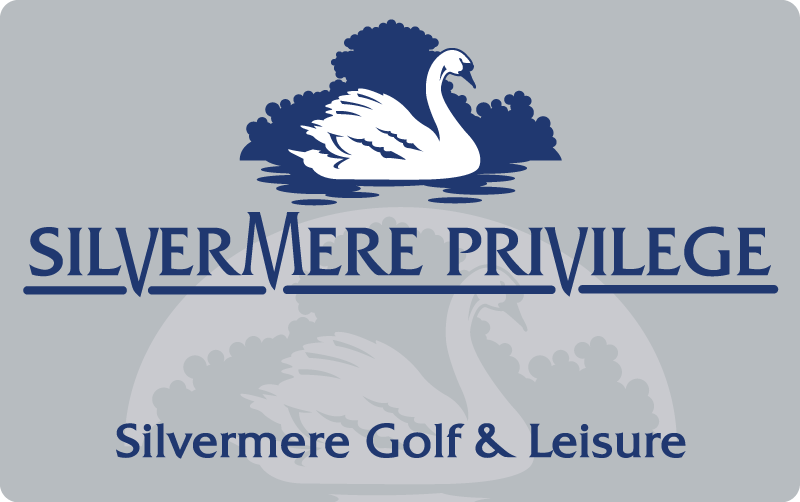 Available in Black in 25 sizes to please every serious golfer. BLACK/IRON GREY/WHITE Leading full-zip jacket in the increasingly-popular lightweight GORE-TEX® Paclite® waterproof range. Stretch fabric is applied to the key areas around the back and elbows to provide maximum flex during the swing. 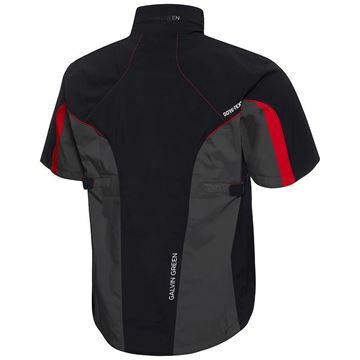 Incorporates the same rain channel cuffs and styling features of the Shell layers, but carries less weight. 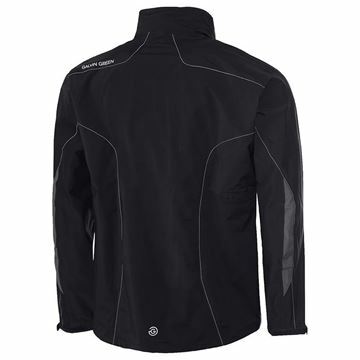 BLACK Popular waterproof full-zip jacket in GORE-TEX® fabric with mesh lining. Highly breathable and adaptable, with adjustable bottom edge and sleeve ends, plus rain channels on the sleeve ends. Two inside pockets and two disguised front pockets. BELUGA/LEMONADE Catering for the golfer who also wants to wear his jacket off-course. 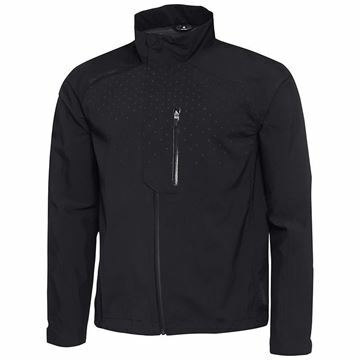 A full-zip jacket in waterproof GORE-TEX® fabric with mesh lining. Extremely breathable and comfortable to wear. Incorporates two front pockets with classic trim detailing. 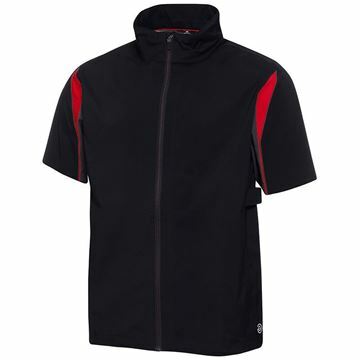 BLACK/RED Catering for the golfer who also wants to wear his jacket off-course. 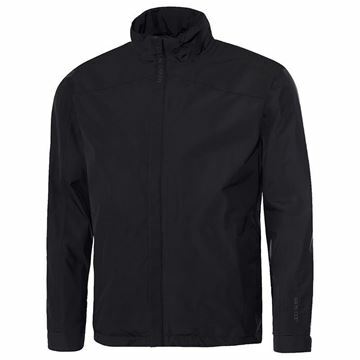 A full-zip jacket in waterproof GORE-TEX® fabric with mesh lining. Extremely breathable and comfortable to wear. Incorporates two front pockets with classic trim detailing. 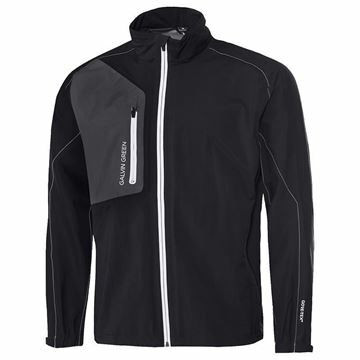 BLACK Aquastorm PX1 is an impressive new upgrade on our biggest-selling Aquastorm Pro rain suit. BLUE/BLACK Aquastorm PX1 is an impressive new upgrade on our biggest-selling Aquastorm Pro rain suit.